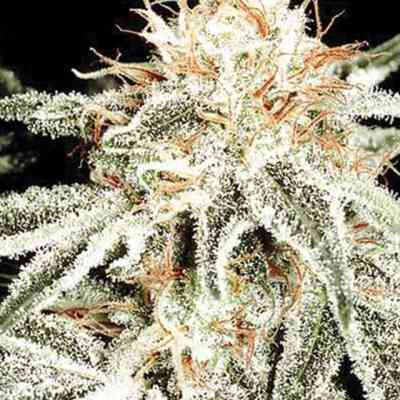 Vision Seeds Russian Snow is a combination of the power packed AK-49 and the legendary White Widow resulting in an amazing frosty cannabis plant with an enjoyable sweet aroma and a powerful clear and durable high. Being Indica dominant she reaches medium hight with a compact stature and produces very resinous flower tops. This winter wonderland looking strain has the looks and feel of an Indica when it comes to size and density and produces great yields of up to 450 grams per square meter. Russian Snow is an easy to grow stain suitable for indoor as well as outdoor growing. The plant doesn’t carry many leaves making it perfect for indoor growing.